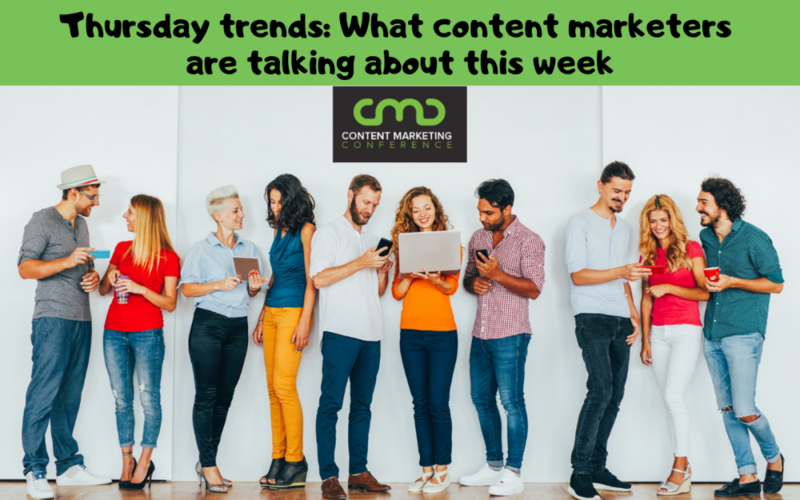 Hold on to your seat because the Thursday Trends will blow your content marketing mind. If your content marketing efforts were stagnated or ineffective in 2018, then these featured articles will ignite your creative fire for 2019. Read on to find out the critical statistics you need to know before you create your next piece of content, six marketing videos that get results, and five European content marketing campaigns so magical they make Harry Potter jealous. Then get ready to give up content marketing altogether. But not before you read the comprehensive guide to content marketing in 2019 and check out Forbes’ list of the biggest conferences coming up this year (guess who made the list?). How helpful would it be to know what 71 percent of consumers despise before crafting your next piece of content? Then buckle up, content marketer, because these astonishing content marketing stats are going to blow. your. mind. These statistics gathered by the Content Marketing Institute and other organizations are guaranteed to light your fire, get your content game rolling, and transform the way you deliver content to excite consumers this year. This article’s got all the dirt on what consumers hate, what strategies work, what internet users want, and how half of the world (yes, the world) is consuming content now. Did you know that video marketing increases revenue by a whopping 49 percent? Or that 76 percent of marketers say video helps them increase both traffic and sales? Or that simply including the word “video” in an email subject line increases open and clickthrough rates significantly? GoToWebinar has compiled a fantastic inventory of six video content styles that get results and where exactly to place them on the customer journey. These topnotch examples of video marketing from B2B industries, including a documentary on thought leadership, will spark your video content creation. It turns out Europe’s got some serious content marketing wizardry going on. Entrepreneur does a great job here of selecting and highlighting five European brands that are expertly keyed into their audiences and nailing their content. The article links to innovative campaigns from some of Europe’s most prominent brands that engaged consumers with a story, became the go-to news source, built a community, created a video experience, and transformed a culture. This inspirational list blows the lid off any perceived limitations for impactful content marketing. They don’t leave you hanging though. This piece fills you in on five key characteristics that define quality content according to Google, what successful content marketing looks like, and thirteen trends in the 2019 content marketing landscape that will make your content creation go big or go home. So now that you’re back in the content marketing business, it’s time to take a look at upcoming conferences. Whether you seek to network, be a keynote speaker, or get up to speed with the latest trends and strategies, this Forbes list has got a conference for you here. In this article, they’ve compiled thirteen of the largest content marketing conferences happening across North America (and one in Australia) throughout the entire year. Forbes highlights each conference’s themes and unique features and other important news to take note of.